The small Aisha’s rage churned inside her. Her broken heart hummed loudly. Her eyes narrowed to the further part of the hallway that she could see. The hunger started to take over her soul. She snarled as her face twisted with that same burning passion she felt in the magic shop. She took off running as fast as her legs could carry her towards the void. Omelettes have always been one of the most abundant and scrumptious items in Neopia. From the craveable, mouth watering Chocolate Omelette to the newer, more party-style Pizza Omelette, each has it’s own specific taste that makes it unique. Often, it can be hard to find that perfect drink to pair with that blissful omelette you’ve waited all day to eat. Luckily, this guide will help you match the perfect beverage with the perfect omelette! Er, um. Ahem. You want me to write about those weird mutant Neopets? Like an article about how vile and disgusting they are? What..? No? You want me to write about how to make them look...nice? I think that is a bit impossible...they are pretty disgusting...I can write about things they can wear...can't make any promises that it'll look nice but they'll have it on. Kyrii, proncounced KIH-ree, is a species of a somewhat high-maintenence Neopet who wander love to explore and get into a little bit of trouble. They are known for their devious smile and suspicious eyes, along with the long mane that runs the length of their body. They are typically seen standing up on two paws, but when they need to move fast they will utilize their arms as well. 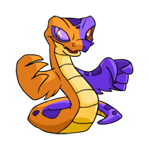 They are on the smaller side of the Neopets species, clocking in at 32cm / just over one foot tall. There is a lot of learn about them! The sun was just barely beginning to rise in Neopia on that spring morning, its subtle orange and pink hues lending a certain softness to the harsh, jagged edges of Terror Mountain. The only movement for miles around was the gentle rippling of the water, but as the sun rose higher and began to warm the land, birds could be heard chirping for the first time in months. Suddenly, a joyful squealing, accompanied by a flash of green! Some creature had torpedoed itself into the water, causing a great splash. Hobbs the Green Bruce popped his tiny head up, spluttering for air and laughing. He was still quite a young Bruce and not supposed to be up this early or by himself in the ocean. His mother always stressed the dangers of going out into deep waters without having an older member of the family watching him. He figured it was far too early and cold for any other sea creatures to be stirring. Besides, as long as he made it back home before his parents and siblings woke up, he was in the clear. Just then, he felt something brush against his leg. He didn't panic; he knew exactly who it was. Slowly, a black mane rose above the water, followed by light golden ears. The creature stopped at that point, not moving another inch. Hobbs wasn't sure what sort of game this was. He reached forward in an effort to pat the the soft mane, when suddenly the rest of the Peophin's head popped up and sprayed him directly in the face with a jet-like stream from its nostrils. "UGH, GROSS!" He couldn't help but smile, though. Revelle the Spotted Peophin smirked proudly at his bewildered face. She usually surprised him with a hard smack of her tail when he was least expecting it, but she thought this would be something new to try. "Hobbs, you know you shouldn't be out right now. Your mother nearly caught you last week. Besides, I can feel the waters warming. The Jetsams could be here any day now." One day in the Haunted Woods, everything seemed to be normal - or as normal as the Haunted Woods can get. But unknown to any of the residents of the Woods, even the Brain Tree, they were soon going to be visited by two Neopets, one willing and one less so. The self-proclaimed leader of the two Neopets was the yellow Blumaroo known as Damarr, who, instead of enjoying her time in the sun, was trying to desperately drag her best friend through the metal gates as the withered trees stared at the duo. "Come on Fantax, it was your idea to go the Haunted House," argued Damarr, "you said you were always tempted to go!" "Tempted? Yes. Actually wanting to go, not so much." whined Fantax the spotted Wocky, who was both tired of having her leg yanked and of being brought closer to the foreboding castle. As they finished getting past the gate and out of the spooky trees' gaze, Damarr stopped carrying her friend's leg. While she was helping Fantax up, she couldn't help but marvel at the land of the Haunted Woods. "Man, this place is sure different than Brightvale!" said the spellbound Blumaroo, "No king in site and no owner to drag us to the Motery for the fourth time in a day." "Yeah." said Fantax as she got her bearings, "Speaking of Brightvale, what do you say to us heading home now?" Damarr spun around quickly. "You're kidding, right? We just got here and we haven't even gotten close to the Haunted House yet." Fantax opened her mouth to continue the argument, but silently shut it, knowing that regardless of what she said, Damarr's mind would not be changed. She glanced down at her fur collar and proceeded to brush the dirt out of it when she heard the familiar sound of a tail bouncing away. Quickly popping her head up, Fantax saw the silhouette of her best friend hopping away, going right past the moaning Esophagor. Afraid of getting lost in these creepy woods all by herself, she scurried after her friend as their destination became even more clear to her - the Haunted House. Omelettes have always been one of the most abundant and scrumptious items in Neopia. Often, it can be hard to find that perfect drink to pair with that blissful omelette you’ve waited all day to eat. Luckily, this guide will help you match the perfect beverage with the perfect omelette! This time I'm interviewing the mysterious owner of Neopia Central’s Chocolate Factory, producer of most of Neopia’s supply of chocolate, and host of the Annual Chocolate Ball: the Chocolate Factory Kiko. I watched in amazement for a few seconds before I realized I needed to hide.